The league, union, and retired players association have combined to quell a post-playing career financial pandemic. Players like Grant Hill and Caron Butler are perfect examples of that. Ten years ago Sports Illustrated published a haunting feature on the dark reality of many professional athletes’ finances. Lucrative contracts consistently melted into the exhaust pipes of luxury vehicles. Hundred-thousand dollar investments in quirky inventions quickly evaporated. Full fortunes were sliced through divorce settlements. 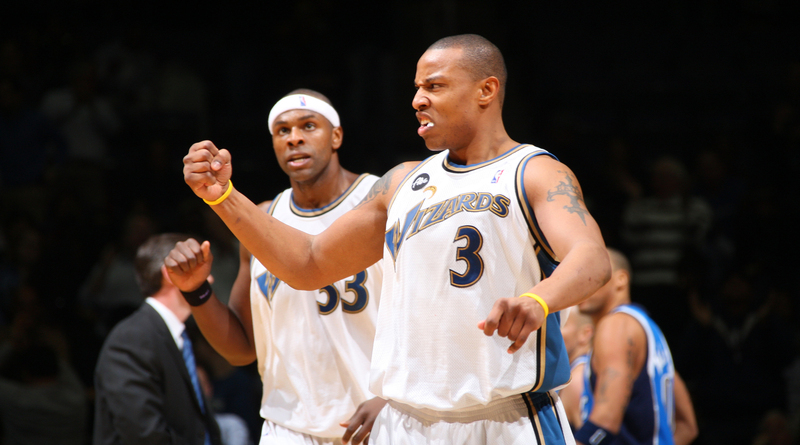 “It was f---ing trial and error with millions of dollars,” says two-time All-Star Caron Butler. Within a half decade of retirement, an estimated three out of five former NBA players were going broke. "Sixty percent is a ballpark. But we've seen a lot of guys who've really come into hard times five years after they leave the league," Roy Hinson, a former NBA player and current NBPA senior regional director, told the Toronto Star in 2008. "The problems are, for a lot of guys, they have a lot of cars, they have multiple houses, they're taking care of their parents. They're taking care of a whole host of issues. And the checks aren't coming in anymore." The union says that number is no longer accurate, and although it did not provide a current statistic for this story, the NBPA, NBA and the National Basketball Retired Players Association have since instituted organizational structures and initiatives to combat what was once considered a financial pandemic. Since the 2011 collective bargaining agreement negotiations, the NBPA has implemented new or improved bridge annuity, pension, 401(k) match, health insurance and tuition assistance programs. Membership within the RPA doubled from 2012 to 2016. The salary cap boom, which resulted in 70.8% growth for the deals of top-25 players from 2011 to 2018, has placed an even greater emphasis on financial literacy. Instead, Centric helps its clients construct automatic savings plans, fully funding their 401(k)s and capitalizing on after tax contributions NBA or NHL plans allow, rolling that money into a Roth IRA. “We turn some people off because they want to get in the game right away and they want to see their money make money,” Rutili says. After establishing that foundation, the firm layers other savings into customized, risk-managed portfolios. While supporting the Lob City high-wire act in Los Angeles, Butler strolled over to a courtside Mark Wahlberg during a 2012 Clippers game. As a teammate lofted free throws, Butler asked to pick the entertainment mogul’s brain. Wahlberg ventured back to LA’s locker room following the contest. A few days later, Butler was on the set of the movie 2 Guns as Wahlberg and Denzel Washington filmed the action thriller. “I was just in awe,” he says. Today, Wahlberg has signed on as the executive producer of Butler's biopic, Tuff Juice. Butler earned over $84 million throughout his entire playing career. The original Burger King investment whet the appetite of Butler and his wife, Andrea, and motivated them to search for high-reward, secondary-income opportunities. “The grind drives me,” Butler says. “Seeing things coming to fruition, that’s everything to me.” Real estate particularly intrigued the swingman. “Growing up always having eviction notices on our home, I always wanted to own my own property,” he explains. Butler is an equity owner of Graduate Hotels. With 15 near- or on-campus locations worldwide, the company’s hotels replicate the college experience for alumni, sprinkling time capsules and relics from historic moments at each school and region. It recently closed a deal on UConn’s campus, which Butler says requires roughly $420 million to launch, netting returns as high as 20% each year. He also holds equity ownership stakes in a company producing all-natural ingredient cleanse drinks, and in a vegan restaurant, Fala Bar, which has three locations in California. Similarly, Hill parlayed relationships he developed during his own career into several business ventures, particularly an Orlando-based mezzanine fund. Writing checks anywhere between $4 and 8 million, the fund provides growth capital to small businesses and ultimately exits after turning a profit. Hill's real estate company also amassed 2,500 multi-family apartment units across six different complexes in three states. “It was really just through relationships that had been nurtured over years and having done some one-off deals,” Hill says. The soul of Hill’s post-retirement career, in addition to broadcasting this year’s Final Four, has been curating an expansive collection of African-American art. “We like to say it’s pretty serious,” he laughs. Emulating the artwork his father hung around his childhood home, the unguardable scorer began buying prints of Ernie Barnes’s paintings for his Duke dorm room. When he reached the NBA, Hill began purchasing originals from Jacob Lawrence, John Biggers, Charles White and Charles Alston. “A lot of the real, sort of pioneers and masters of the genre of African-American art,” he says. His collection today has swelled to over 100 pieces, most of which are stored in a climate-controlled, secure facility. Hill has rotated the art between storage and his homes, but he and his wife, Tamia, have tried to organize and display their pieces in exhibits. “One of the challenges is that art is meant to be seen,” he says. The Retired Players Association used to struggle to be seen as well. Yet since its dramatic membership increase at the onset of this decade, it has steadily maintained close to 1,000 members. The RPA is not a union, leaving members to pay yearly dues of $250 or one-time lifetime fees of $3,500. Any player who has held an active NBA or WNBA roster spot can join for education and career development programs, social activities at major NBA calendar events, community outreach programs, paid opportunities and royalties. “There’s been a transformative shift in the way we serve former players,” says RPA CEO Scott Rochelle. “It hasn’t been about building players back up after they failed, the conversation is built more around, ‘Hey, I want to make sure my next move is a really good one that can sustain me and my family and keep me engaged for the rest of my life.'" Roughly 75% of the RPA's budget is derived from a group licensing agreement with the NBA. Video game licensing dollars from EA Sports and 2K Sports, jersey sales, photo and image usage and trading cards are all funneled to each of it members, like a residual check from a hit television show. Video games fees can pay tens of thousands of dollars per year. Bimonthly, the organization runs health screens at an NBA team facility, with 150 players annually receiving EKG and stress tests, blood work and other orthopedic evaluations that are provided for every retiree. 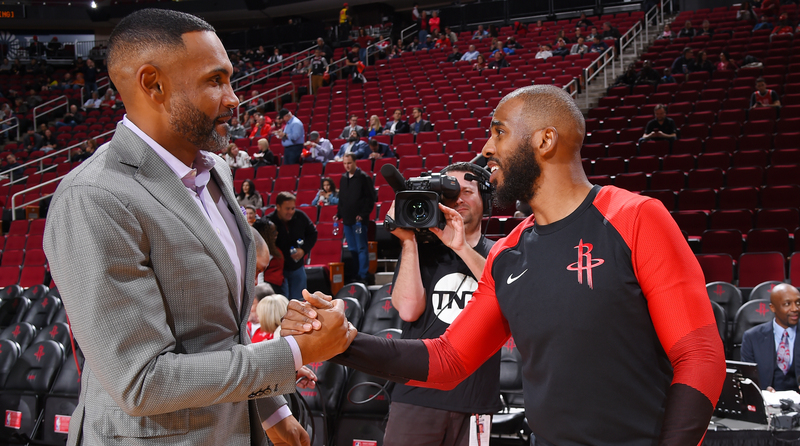 The NBPA made national headlines in 2016 when its representatives voted unanimously to fund health insurance for all retired NBA players with at least three years of service in the league. Since 2001, the NBPA has deposited large sums into its players’ health reimbursement accounts, reserved for any health expense for them or their families. Some accounts have soared reached the high six figures. The union is hoping to soon debut a long-term care benefit. In 2011, the NBPA launched its bridge annuity program, partitioning 1% of basketball-related income for its pool of retirees from the time they officially walk away from the game until they reach the age of 50. With annual BRI surging to well over $7 billion, that would leave greater than $70 million to be redistributed into the annuity program with Principal Financial Group. “The amounts have gone up significantly,” says Ron Klempner, senior counsel at the NBPA. The union pays any existing taxes on those funds, and active players can invest up to 10% of their salary into that annuity as well. “You couldn’t go out on the street and buy an annuity like that,” Klempner says. The league’s pension fund was recently supersized to the maximum allowed by law and the most aggressive interest rate available. The benefit stands at over $850 a month for each year of service a players holds, meaning a 10-year veteran can gross $8500 a month, or about $100K a year. Through Voya, the union’s 401(k) matches at 140%. As of 2016, the union will reimburse a player $101,000 in tuition to finish an incomplete undergraduate degree. They offer programs in entrepreneurship and broadcasting with Syracuse University. It holds a coaching program at the NBPA Top 100 camp at the University of Virginia, where active players who hope to later pivot into basketball operations can coach the nation’s premier prospects. The union’s leadership development program in Las Vegas during Summer League introduces players to the NBA’s leading front office executives as Klempner teaches them about the inner workings of the CBA, salary cap and free agency. Four retired players, TJ Ford, Bobby Simmons, Jeff Lamp and Lloyd Walton serve as regional representatives, attending games and team meetings, solely focusing on career transition for the players. A fifth has personified all of the efforts from the league, union and RPA. “Antonio wraps everything together,” Klempner said. Twelve-year veteran Antonio Davis has spearheaded the NBPA’s Off The Court program. The power forward was keen on packaging the idea as a way to help expand players’ horizons, rather than prepare for the day one must forever untie his sneakers. “I didn’t want guys feeling like, when I talked to them, I was gonna be like the grim reaper,” Davis says. The program generally assesses players in an exit-interview setting, helping players maintain their families, mental health, physical health and finances off the court. After retiring in 2006, Davis realized a slew of players seeking one last paycheck overseas, or through general disengagement from basketball, were becoming entirely detached from the union, ignoring the menu of benefits the NBPA provides. Last October, Davis flew six players to New York for a workshop, breaking down the full benefits package, updating their contact info for their annuity, and educating them on the newly established healthcare system. Several players were unaware they qualified for the union’s free services. “We started solving some issues right there,” Davis says.